French Admirals release Closer Than Brothers at RnR Hotel, 8/2. 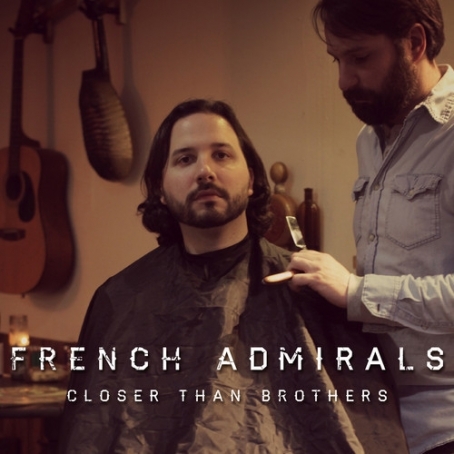 French Admirals formed in 2013 when "Robert France" (aka Rob Kuczynski) and "The Admiral" (Mike Lashinsky) started what they call a "gentleman troubador" guitar and bass acoustic project. After writing some songs and playing some shows, they added a drummer ("The General"), and went electric. The end result is Closer Than Brothers. Recorded by Peter Larkin (who recently recorded DC favorites Wanted Man, Paperhaus, and Pree) at Lighthouse Recording and Persona Non Grata Studios, the album is a solid collection of sounds from late 90's guitar-pop, from college-rock and power-pop to alternative country and folk. French Admirals are debuting the album this Saturday, August 2nd, at Rock and Roll Hotel. They'll be joined by local acts Exit Vehicles, Kelly Ann Beavers (of Belles and Hunters), and Patrick Frank. Check out the album preview below.